A 12th century Irish woman sets out on the legendary voyage of Prince Madog of Wales. 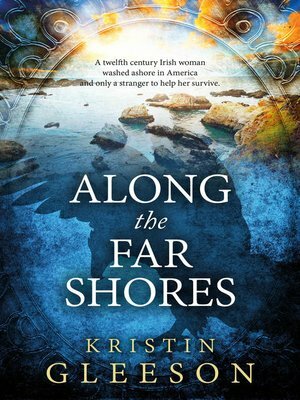 Aisling, despite her best efforts has failed to become the seer her mother desired, so when her mother dies leaving her alone, she leaves Ireland for Wales to join her brother, Cormac, at the royal court at Gwynedd. There she finds he is joining Prince Madog's voyage to the western lands in order to escape the threatening war. After Madog refuses to let her come with them she stows away, desperate to remain with her brother. A terrible storm arises and she is tossed overboard by a resentful Welshman and washes up on the shores of the Gulf Coast. Caxna, a Tlingit trader and former shaman, finds her and reluctantly agrees to let her join him on a trading journey to the Mayan city of Xicallanca, in the hopes she might find Madog and her brother. Caxna must succeed in this trading journey in order to free his clan but with Aisling along everything changes. ....Gleeson leaves us with a memorable and poignant love story and a vision of a wonderful culture, unique in my experience of literature. ...The underlying sexual tension is all the more powerful for the beautifully restrained writing, which makes the slightest touch electric; a medicinal massage becomes a moment of physical communion.... This is what K.L. Gleeson does best; portraying different cultures and showing how humanity can cross them.